Blair faces scrutiny over the Iraq war in front of the Chilcot inquiry on Friday. 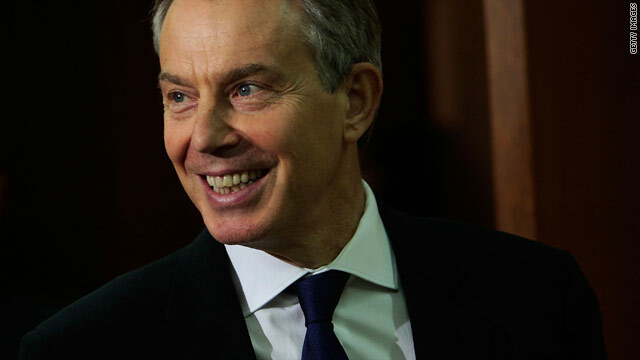 London, England (CNN) -- Almost seven years since British troops took part in the U.S.-led invasion of Iraq, former prime minister Tony Blair faced public scrutiny on Friday over the decision-making process that led to the UK's involvement in the conflict. The latest inquiry, headed by retired civil servant John Chilcot, marks the UK's fifth attempt to investigate the circumstances surrounding the Iraq war. But Philippe Sands, a barrister and professor of international law at University College London, said previous inquiries had been too limited in their scope to answer crucial questions about the decisions that led to war, and how senior figures had used the legal advice and intelligence information at their disposal. "It's implicit that previous inquiries did not address the issues that a sufficient number of people cared about to bring closure on them," Sands told CNN. "There is a very broad feeling that the previous inquiries were either too limited in scope or conducted under conditions that were unsatisfactory." Lawmakers conducted two inquiries in 2003, while 2004 saw the Hutton inquiry into the suicide of former U.N. weapons inspector David Kelly, the alleged source of a BBC report into claims the government had exaggerated the threat posed by Iraq, and the Butler inquiry examining the role of British intelligence in making the case for war. Prior to Blair's appearance, the Chilcot inquiry had already heard testimonies from government figures, civil servants, intelligence chiefs and senior soldiers, including former foreign minister Jack Straw and Blair's then-director of communications Alastair Campbell. It is also due to hear from Prime Minister Gordon Brown who was Blair's finance minister at the time of the war. Legal expert Glen Rangwala of Cambridge University told CNN that the Iraq war remained a "live political issue" in the UK because the same government, albeit led by Brown rather than Blair, was still in power. Other leaders associated with the conflict such as U.S. President George W. Bush, former Australian prime minister John Howard and former Spanish prime minister Jose Maria Aznar had been voted out of office, he said. "The others have faced critical public scrutiny and been damaged by that," Rangwala said. "The British haven't had a change of administration so in many ways it remains a live political issue because it reflects on people who are in government." Rangwala said the Chilcot inquiry also belonged to a long history of public inquiries in the UK which had served to improve standards in public life. He said the Iraq war had raised concerns about "core flaws" at the heart of government, including the relationship between politics and security issues and the role of parliament, which still needed to be addressed. "One of the themes of this inquiry has been a perception, shared by the public, politicians and civil servants, that the process broke down over Iraq and that the process needs to be first analyzed and then rectified," he said. But Sands said past inquiries had also been used by governments facing criticism to take the heat out of controversial issues. "There's a long and honorable tradition that when a government gets itself into difficulties it appoints a group of worthy gentlemen to ponder on the question for extended periods of time until the heat has gone away," he said. Rangwala said the passing of time since previous inquiries meant the Chilcot inquiry had benefited from the fact that many witnesses had been able to be more reflective about their roles in the build-up to war than would have been the case "in the heat of the moment." He also said that a Dutch inquiry which concluded earlier in January that the invasion of Iraq had violated international law demonstrated that the issue was "not just a British obsession." Sands said that the central objective of the inquiry was restoring public trust in government. "To do that it is has to be an open, public and transparent process and there's got to be a result in which the outcome is reasonably connected to the documentary and witness evidence we've heard," he said. "If Chilcot does it properly he can bring closure to those issues and everyone can finally move on." Ultimately though, Rangwala warned that the verdict of a public inquiry would be unlikely to satisfy those seeking a "judgment" on the actions of Blair and others responsible for the decision to go to war. "Perceptions on the Iraq conflict have become quite heavily polarized with many people still arguing for public prosecution of those involved," he said. "Clearly there will be a group that will never be satisfied and it will remain an issue even when the Chilcot inquiry is over."